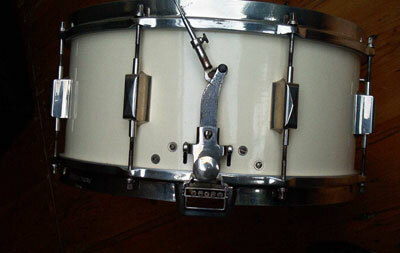 Bottomrim engraving says Leedy DUAL although the DUAL version of this snaredrum had snarewires under the batterhead too. 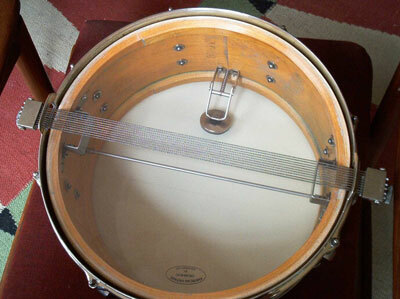 This is the Parallel version, both sides of the snares lower at the same time, while the snares remain under tension. 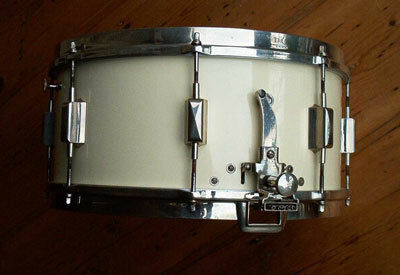 This drum was white, then Ferrari RED and now it is restored to the original Enamel White. The pleasure it must have given in the 1930s is only building up to the pleasure it gives today. Second series parallel strainer with the original SILK WIRE WOUND snares, individually adjustable. 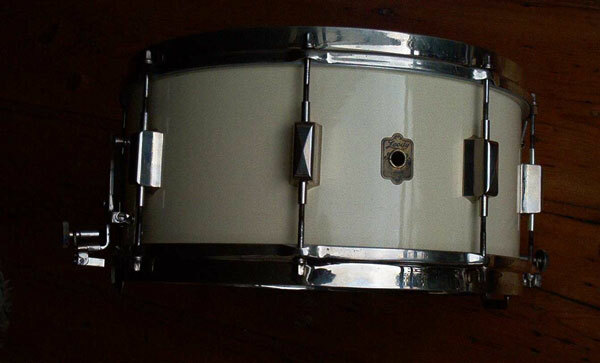 This drum is solid, heavy and FAT.